I have to admit I’ve never been particularly drawn to Farrow and Ball paints and colours. To me, they’ve seemed too traditional, not at all edgy or contemporary, although I was well aware of their reputation for quality. 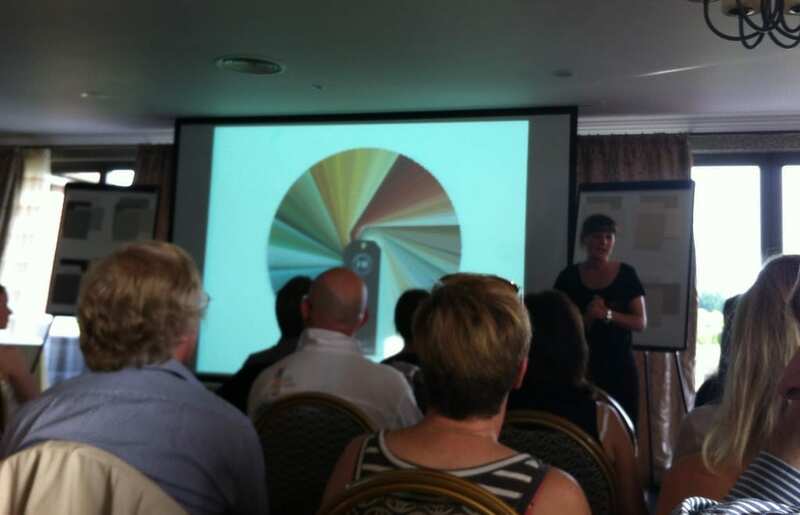 However, after attending an inspirational talk by Joa Studholme, International Colour Consultant for Farrow and Ball, I am totally converted. 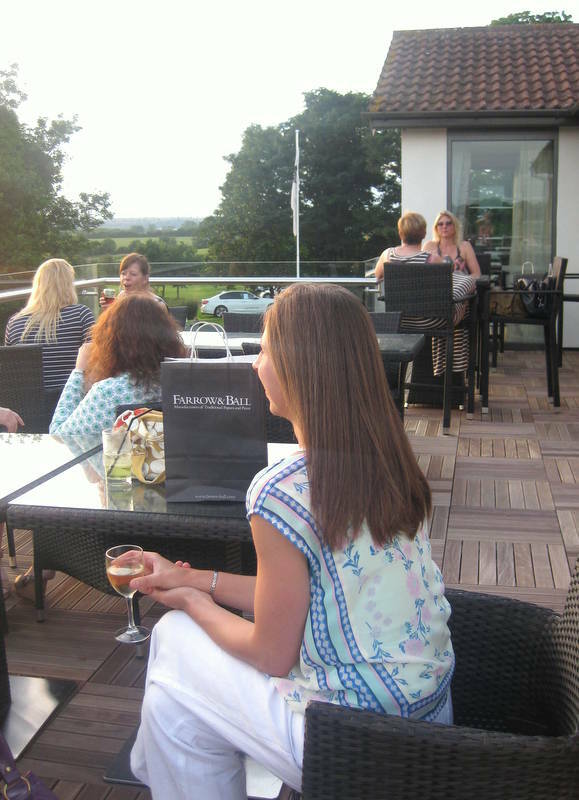 Hosted by Living HQ, an independent interiors store in Nottingham, the evening was held at the Nottinghamshire Golf and Country Club, and the sun was shining. We drank our complimentary wine on the beautiful balcony terrace overlooking the Golf course in the glorious evening sun, and then took our seats for an evening of colour and decor. Joa Studholme has decorated famous buildings as well as celebrity homes and she rarely gives talks outside of London. Full of passion, and with an obvious wealth of experience, Joa talked for over an hour on the best ways to create harmonious, dramatic and well designed colour combinations using Farrow and Ball paint to best effect. So, what did I learn? What tips did I pick up? Was it worth it? If you’re decorating the whole house, or considering the decor for all of the rooms, start with the hallway and work floor by floor. This creates a natural flow through the house. Don’t be afraid to use a dark colour in the hallway, no matter how much light it has which gives other rooms the illusion of light and space as you walk into them. Prevent a narrow hallway seeming ‘tunnel’ like by painting the end wall in a darker shade. Dark colours pull the space towards you, lighter colours send them away. Use colours of the same tonal weight in rooms on the same floor or level of the house. All pastels for example, or stronger shades of a similar colour strength will all help to maintain the flow. Have a small room lacking in light? Itching to paint it white so it appears brighter? Well do this and you have a small, dark room painted white, but paint it in a dark, warmer colour and you have a room with drama and intimacy. Don’t be afraid to be different. One of the most thought provoking tips for me was the challenge to my idea of always painting my skirting and ceilings stark white. It apparently makes the walls seem smaller, cutting them off bringing the ceiling downwards in the room. 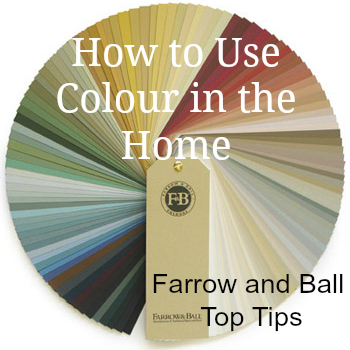 Use paints from the same Farrow and Ball colour family, as described on their website, and use them on the walls, ceiling and woodwork. Use the lightest shades on the largest surface to create the illusion of space. Use the darkest shades on the skirting, and another on the woodwork. If you are lucky enough to have cornicing and coving, you could paint this all the same colour as the walls to create an illusion of height in the room. Paint the woodwork in the same colour and you create a very clean fresh look. As your eye isn’t distracted by the differing colours or shades, the finished result is clean and calm. Back to the idea of darker painted skirtings, this works well in a neutral scheme and gives a more ‘decorated’ look. I would never have considered this but seeing it in action at Joa’s talk, I’m very much a convert. 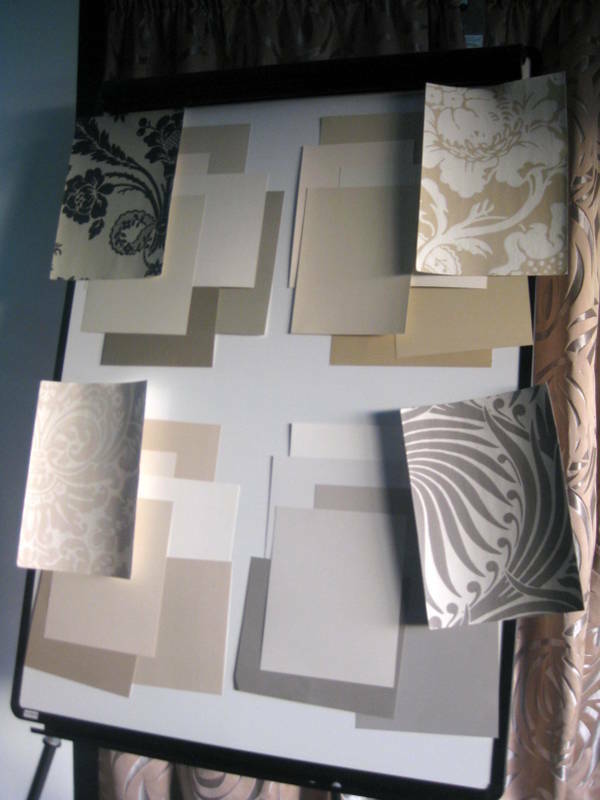 Top left: Traditional neutrals of warm, grey tones such as Slipper Satin, Lime White, Off White and Old White. Top Right: Yellow based neutrals, good for a modern, country look, such as White Tie, New White, Matchstick and String. Bottom Right: Contemporary Neutrals, a relatively new group, more urban and hard-edged. Cool grey tones such as Whimborne White, Strong White, Skimming Stone and Elephant’s Breath. Understanding how to use these to best effect, applying some of the suggestion above gave me huge of inspiration for new decorating projects. Adding stronger, empathetic colours and co-ordinating wallpapers (as Joa did on the board above) to these groups really helped me see Farrow and Ball in a different light. Farrow and Ball paint is made of natural ingredients and has extremely high levels of pigment giving a depth of colour not seen in other paints. It is also environmentally friendly, a big plus for many. And what about Trends? 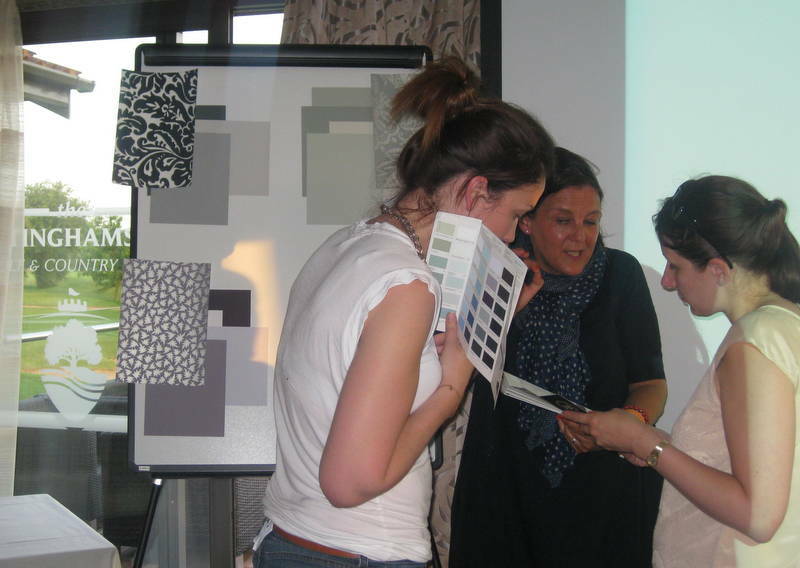 What’s did Joa predict for future colour fashions? Apparently it’s all about Yellow. The stronger the better, and this colour isn’t going anywhere, it will be gracing our walls for years to come. Blacks are the new Neutrals. I quite like this idea, but I think for others it might be a step too far! What do you think about this? 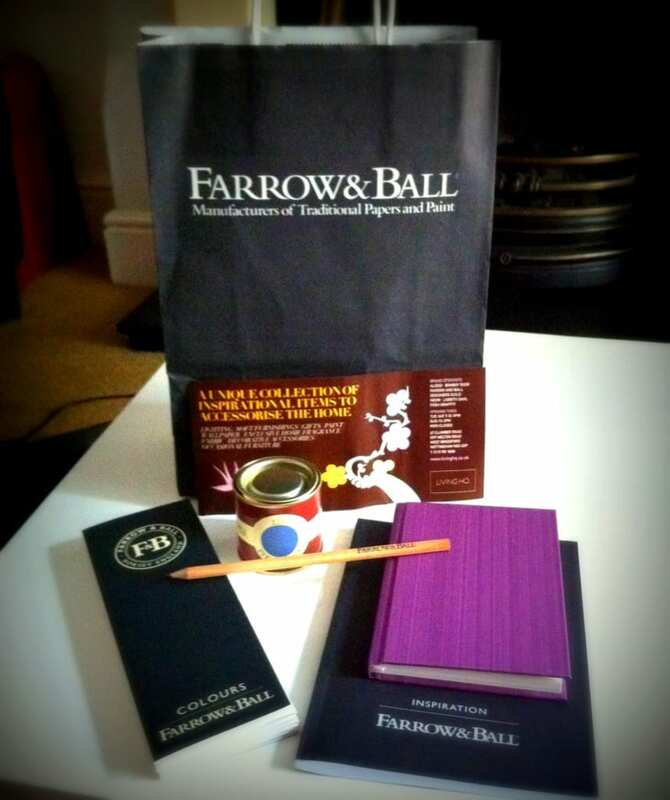 I left with my Goody Bag of Farrow and Ball tester pot, notebook and pencil and Colour Inspiration book, with my head full of colour and new ways to use it. I have a few decorating projects to tackle this year and I’m itching to put my new found knowledge into practice. I’ll be visiting the lovely ladies at Living HQ, one of the few Farrow and Ball stockists in Nottingham frequently, I imagine, for testers and colour cards. Watch this space for my decorating updates and new found colour confidence! 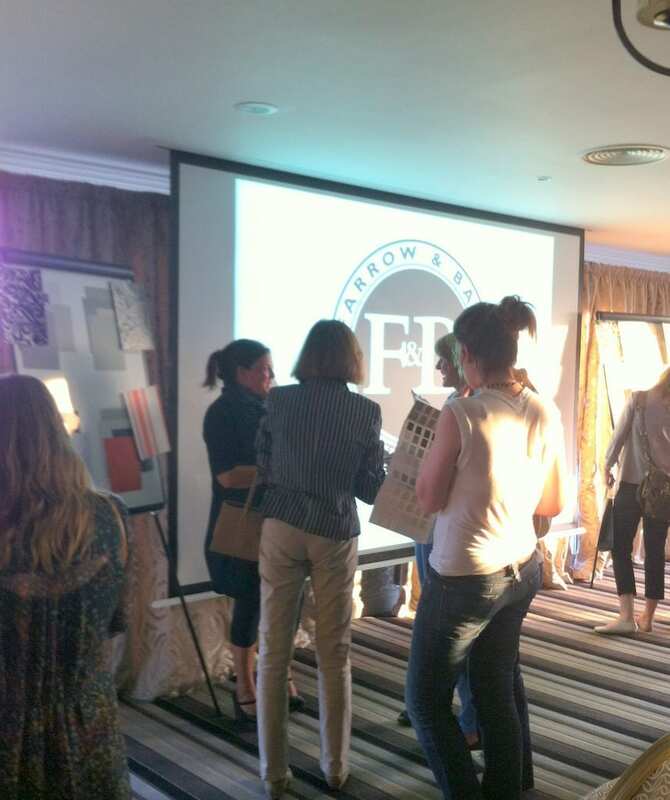 Thank you to Natalia and Iwona at Living HQ in West Bridgford, Nottingham for inviting me to their Farrow and Ball ‘Colour the Home’ event with Joa Studholme. I was given a ticket in exchange for coverage on the Blog. If you decide to use the Farrow and ball paints, remember you will need a lot more paint as you have to build up layers to get the true colour, also cut in first, so you can blend in the cutting, as if you cut in afterwards, you will find it looks like you have a stripe around where you cut in, due to the nature of the paint. Most important read the label as it is a different paint to standard dulux, johnsons, and other standard brands. If using a decorator check he is definately using farrow and ball, some decorators try to cut costs by having colours mixed, only farrow and ball paints will give their colours, you cannot match the pigments in their paints. So disappointed to have missed this, but it’s sounds brilliant…I need some colour in my life!! I love Farrow and Ball Paint. I don’t really know what it is about it but somehow their colours just seem to work in my Victorian house and the quality is second to none. We have vert de terre in our kitchen and everyone comments on how lovely it is. Also, we are fairly novice DIYers and have never had any issues with their paint and find it very easy to get a good finish. However, we do always use the modern emulsion which is washable and a must in a house with 3 small children!